With only a few more weeks before we bid farewell to 2018, now is the perfect time to get started on your resolutions. Get in better shape? Sure. Spend your money wisely? Why not? Build a better blog? Most definitely! The new year promises a fresh start. If blogging mishaps defined your 2018, them 2019 must be your year to redeem yourself. So, how do you set yourself up for blogging success? Well, you can follow these easy steps to build a better blog and generate more traffic and income! As the saying goes, you can’t move forward if you don’t look into your past. That’s pretty much what Google Analytics is all about. Simply put, you can’t build a better blog without checking your site’s performance thus far. And Google Analytics will show everything you need to know. It’s a powerful tool that gathers data about your traffic. Use the information to help you understand why your blog is performing the way it is. You can also crunch the numbers to help you develop better campaigns for growing your blog. Understand traffic channels – The tool lets you see which channel drives the most traffic to your website. Click the Acquisition tab on the left sidebar to get the All Traffic drop-down. Click the Channels button and scroll down to check the results. Know your audience demographics – To increase blog engagement, you must know the kind of people visiting your site. You can then tailor your content strategy to best suit your audience’s preferences and interest. To get this information, go to the Audience tab and go through the different subsections one by one. Increase retention time – You can check the pages that your visitors stay the longest. Go to the Behavior tab and click the Site Content drop-down. Their average time on that page shows how much engaged they are with its content. So identify your best-performing pages and replicate them on your next posts. Doing so should help your visitors stay on your site longer! Content is still king and always have been. If you want to build a better blog, you need to produce content that your target audience will want to read on a consistent basis. Make “Quality over quantity” your daily mantra as you work on your blog next year! Simplify it – Think of a problem or situation that your target audience is having trouble with and find a way to simplify it. Deliver your points matter-of-factly and go straight to the point. Your audience will appreciate you for it! Be controversial, unique, remarkable, or all of the above – With so much content floating around online, it’s not enough to post a grammatically correct piece. Aim for content that intrigues, shocks, and inspires. Don’t be afraid to share unpopular opinions as long as you can back it up with data. Work on becoming an authority in your industry – Create reference content that other people can use to back up their arguments. Providing reference data will not only establish your reputation as an authority, but it will also attract valuable backlinks! What’s the worst, most tragic way you can describe a blog? Great articles, but low or no readership! Make the most of your online real estate – Wisely share your content on social media and send it out to your email list as soon as it’s live. Don’t wait until the next day to get the ball rolling. Reach out to 100 new contacts every day – Take every opportunity to respond to comments, follow people, participate in Quora. Remember, the more extensive your social media network, the more people will know about your blog. Promote your most popular content again – If you have popular content that is still very much relevant today, go ahead and promote them again. It’s a great way to engage a new audience. Blogging is just like any other skill. If you want to achieve success, you need to work on growing the necessary skills continuously. Write, write, write – Don’t let writer’s block hold you back. Think of writing as a discipline. The more you write, the better you’ll be at it. Take courses – Online and offline courses, whether free or paid, are excellent sources of new information. Here’s an insider’s tip: if you want to get the most out of a paid course, make sure to use coupon codes to enjoy massive savings on your training! Or you can wait for upcoming holiday promos. For instance, Udemy just launched their Black Friday promo where they sell all premium courses for only $10. Join blogger communities – If you’re still starting, you’d want to join and become active members of vibrant communities related to your niche. Community members are usually very encouraging and will throw in their two cents regarding your blogging struggles. Blogging is not meant to be a solo activity. 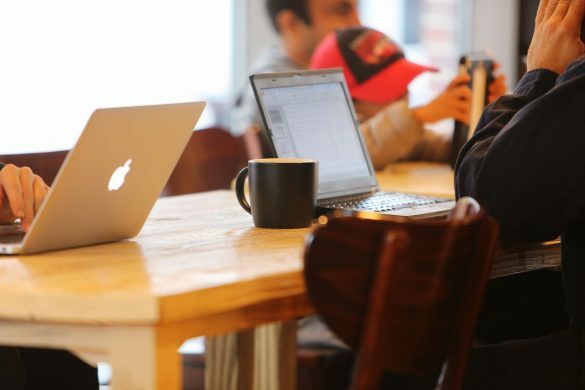 Even if you work alone, having an experienced blogging mentor can help you. Blogging coaches don’t come cheap so look around for mentors who are willing to help you for free. It’s as simple as reaching out to an influencer on Facebook or Twitter and asking them for advice. Most influencers are more than willing to help as long as you ask nicely. According to this inbound marketing report, 53% of marketers say blogging is their top content marketing priority. Why? 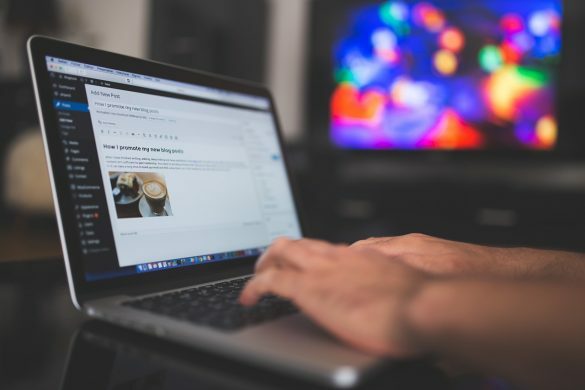 It’s because blogging isn’t just an effective way to establish your authority online, it’s also an inexpensive way to drive traffic to your website. So if you want your business to thrive in 2019, make sure to follow these tips to become a better blogger. In fact, you don’t have to wait until next year to start with these tips. You can benefit from having a killer blog as early as now if you adopt the advice above! Freelance writer for hireby day. Heavy sleeper at night. Dreams of non-existent brass rings. Writer by trade. Pro wrestling fan by choice (It’s still real to me, damnit!). Family man all the time.